If you struggle to sleep, this bath bomb is perfect for sending you off to dreamland. 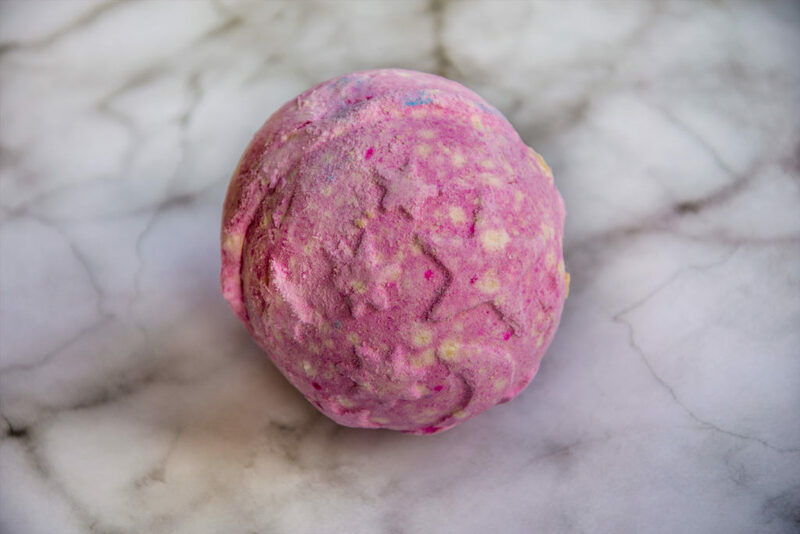 Made with a combination of essential oils, it turns your bath water a gorgeous pink when first dropped in and then a calming, deep purple. You can feel the Lavender Oil, Tonka, Benzoin and Ylang Ylang cleanse your skin and the smell is just amazing. I would definitely recommend using this one right before you crawl into bed. Continuing with the sleep theme, this is my new love. I can’t tell you how much I have fallen in love with this moisturiser. I suffer with really dry skin and eczema, particular in the winter, but using this has really helped to calm down my irritable skin. Made with Lavender Oil, Oatmeal Infusion, Tonka and Ylang Ylang, Sleepy is designed to help send you off into a wistful sleep. I’ve started massaging the lotion into my face and hands before I get into bed and it really does help me get to sleep quickly. The smell of lavender is so comforting and it leaves your skin feeling lovely and soft. 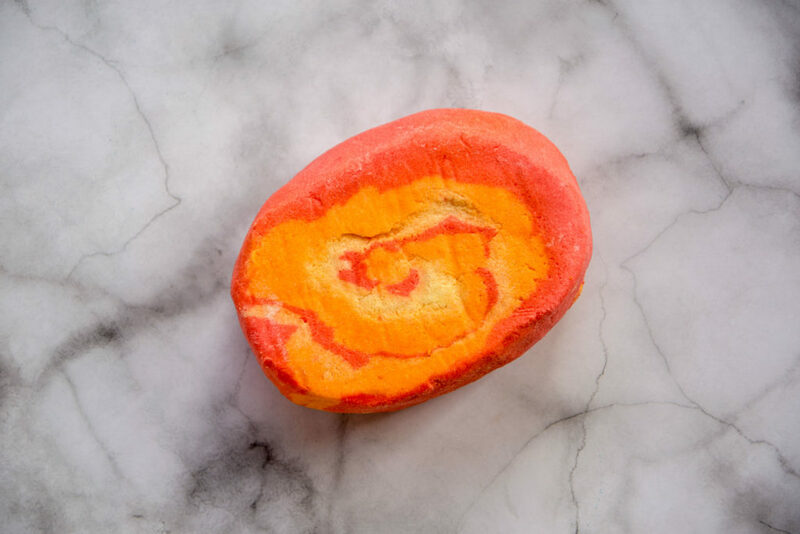 This bubble bar is perfect for waking you up in the morning. Turning the bath water a glorious, bright orange, this little treat is made using Tangerine Oil, Bergamot Oil and Gardenia Extract, all uplifting fragrances that tone the skin and cleanse the mind. Perfect for setting you up for a productive day ahead! This one is nice and oily as well which I loved. You can really feel it nourishing your skin whilst you’re in the tub. If you like your bath nice and bubbly, I would recommend crumbling half of this one under the tap and then saving the other half for next time. This is a heavenly facial cleanser. 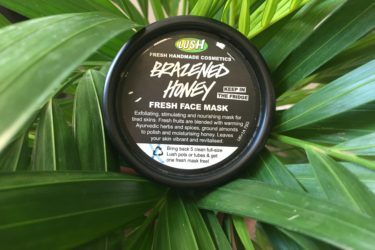 Sometimes, standard exfoliators can dry out your skin when used every day to unclog pours but this one is super gentle and truly kind to skin. 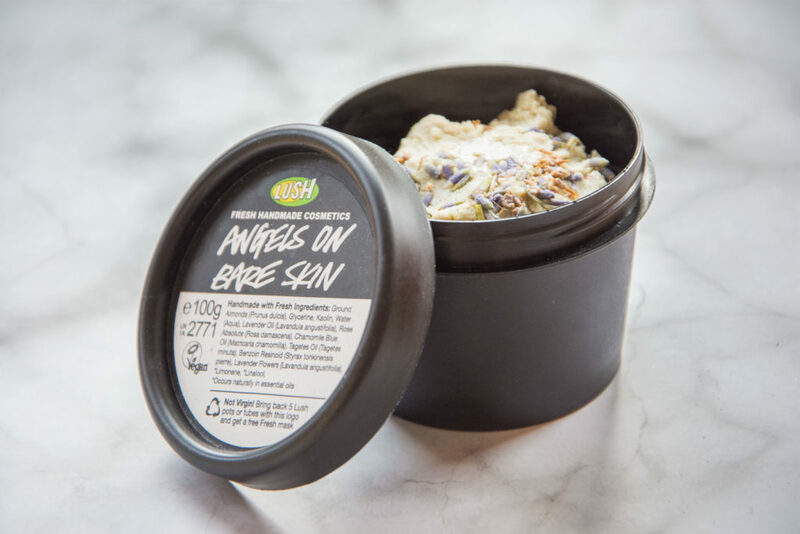 Made using Ground Almonds, Lavender Oil, Rose and Chamomile Blue Oil, Angels on Bare Skin is inspired by an ancient medieval recipe. The ground almonds exfoliate your skin and unclog all those pesky pours whilst the oils leave your skin feeling smooth. Take a small amount into the palm of your hand, mix with warm water until it forms a paste and slather all over your skin. This cleanser made my face feel so soft and it removed all the dry skin I unfortunately get throughout the winter! Now this one I got just before Christmas and only available through the festive period but I thought I would share it with you as it is my absolute favourite and you can bear it in mind for this Christmas! This bath bomb is truly magical and is the perfect way to relax after a long day. Brazilian Orange and Bergamot Oils sink into your skin and give off an amazing aroma, allowing you to lie back and relax as you whisk yourself off to the stars. What I absolutely love about this bath bomb is how pretty it turns the bath water. 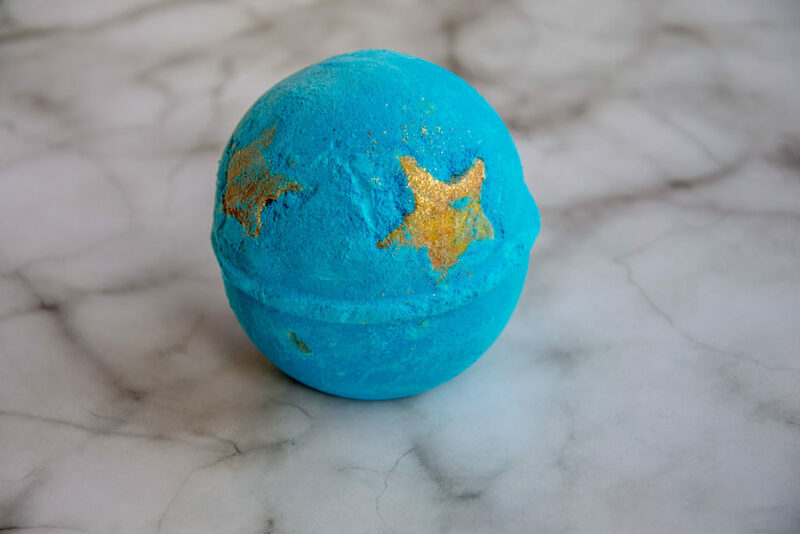 The water goes a really deep, midnight blue and the gold stars turn your bath all glittery so it really does feel like your floating with the stars! I did have to rinse myself with the shower head afterwards as I was covered in glitter but it was so worth it! Remember this one guys for later in the year, I will be stocking up! 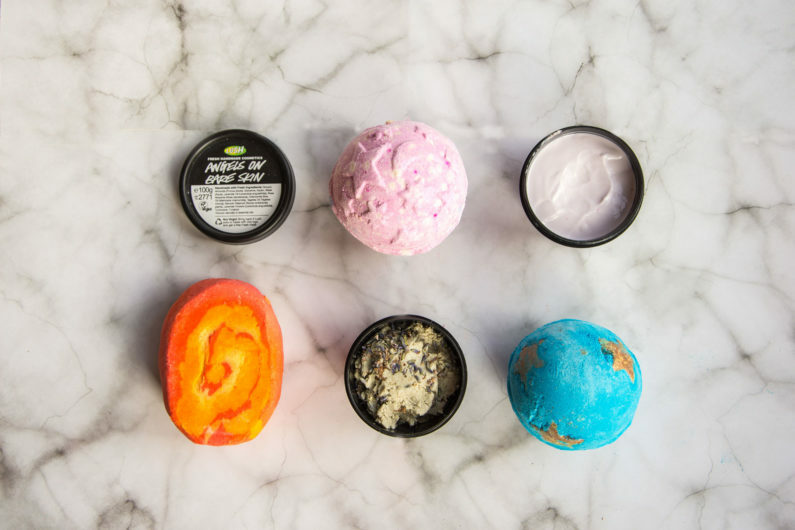 What’s your favourite Lush product? Tweet me @SheWhoLives1 or leave a comment below! I must try Sleepy, it sounds like a wonderful.